The main premise in The Five Dysfunctions of a Team is that teams are inherently dysfunctional because they are made up of naturally imperfect human beings. This book highlights, primarily by way of a fable, the five steps that need to be taken to develop a team that really excels. There is nothing better than being part of a great team. And Lencioni is right when he says that is rare. If you get it right it will not only give you competitive advantage, it will also create an environment that those team members will never want to leave. 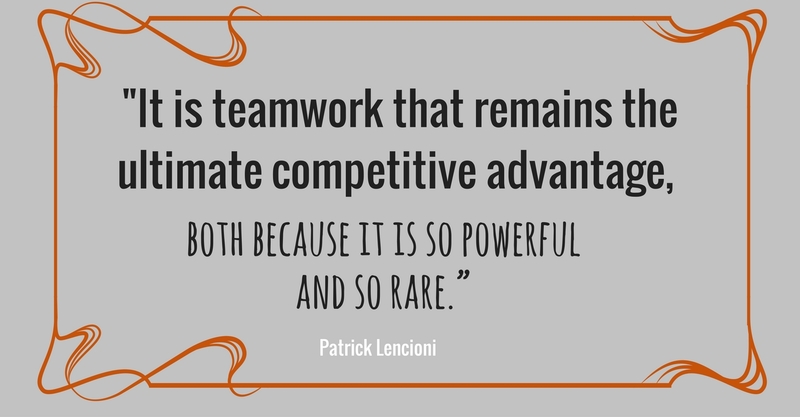 I first came across Patrick Lencioni when I was researching my post on how corporate values can kill employee morale. This article from Patrick Lencioni is the best thing I have read on the subject. So I was keen to read more. 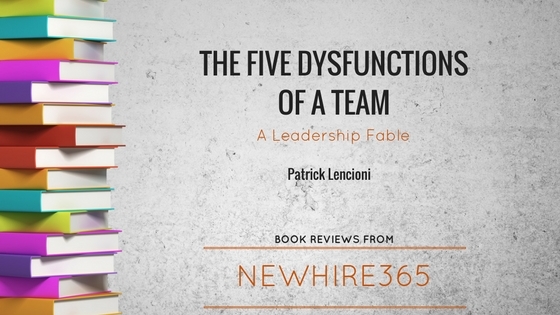 The Five Dysfunctions of A Team is one of many titles from this New York Times best selling author. Through the art of storytelling, he shares some simple but powerful steps to create a high performing team. The leadership fable is followed by some actionable steps to make the story come to life in your team. The book introduces these dysfunctions in ‘leadership fable’ that mirrored some experiences I am sure you have had (it rang some bells for me!) Lencioni then goes on to give clear steps and exercises for each of these dysfunctions. You should not treat these dysfunctions as distinct issues. They are all interrelated. In the book, Lencioni shows these five elements in a pyramid. The foundation layer is the first dysfunction in the list above – Absence of Trust. If there is Absence of Trust, people will Fear Conflict. Without conflict (or heated discussion) there will be a Lack of Commitment as team member’s will not discuss their honest concerns. Because of the Lack of Commitment, there will be an Avoidance of Accountability and if there is a lack of trust in the team, the other members will be unlikely to call each other out on it. Avoidance of Accountability can result in Inattention to Results, as team members focus on their individual needs rather than the achievement of common goals. In order to create and maintain a great team, you need to spend time together. In the example in this book, the team spent eight days per quarter in regularly scheduled meetings, including intensive planning sessions off site. Many companies would balk at this, believing they are too busy to invest this amount of time when there is ‘real work’ to be done. But this time together, when properly managed, can save time by ‘eliminating confusion and minimising redundant effort and communication’. If you don’t have trust in a team, you won’t get conflict. And conflict is healthy and should be encouraged. If there is a fear of conflict, there will be ‘veiled discussions and guarded comments’. People will play lip service to ideas and won’t really commit to them. They may say they will, but their actions will tell you otherwise. Encouraging healthy disagreement will help you understand concerns up front and find a way to move forward. The leader that is looking at a strong group of individuals and wondering why he is not seeing the results he wants. The manager that is looking for simple steps to make his team more effective. The business leader who is looking to gain competitive advantage in a tough market place.